Johnny PayCheck, the country singer best known for his 1977 working man's anthem "Take This Job and Shove It," has died at 64. PayCheck had been bedridden in a nursing home with emphysema and asthma. He died Tuesday, Grand Ole Opry spokeswoman Jessie Schmidt said. Born Donald Eugene Lytle on May 31, 1938, in Greenfield, Ohio, he took the name Johnny Paycheck in the mid-1960s about a decade after moving to Nashville to build a country music career. He began capitalizing the "c" in PayCheck in the mid-1990s. Specializing in earthy, plainspoken songs, PayCheck recorded 70 albums and had more than two dozen hit singles. His biggest hit was "Take This Job and Shove It," written by David Allan Coe, which inspired both a movie and an album that sold 2 million copies. Paycheck's other hits included "Don't Take Her, She's All I Got," (which was revived 25 years later in 1996 by Tracy Byrd), "I'm the Only Hell Mama Ever Raised," "Slide Off Your Satin Sheets," "Old Violin" and "You Can Have Her." "My music's always been about life. And situations. Situation comedies, situation life," he said in 1997. Singer-songwriter Steve Wariner said he knew PayCheck for years and that they had performed together on several occasions. Wariner added: "I also had the honor of inducting him into the Grand Ole Opry. He sure cut some great country music." PayCheck's career was interrupted from 1989 to 1991 when he served two years in prison for shooting a man in the head in an Ohio bar in 1985. He and another ex-convict, country star Merle Haggard, performed at the Chillicothe Correctional Institute in Ohio while PayCheck was imprisoned there. "I heard from fans constantly throughout the entire two years," PayCheck said after his release. "The letters never stopped, from throughout the world. I looked forward to mail call every day." Ohio Gov. Richard Celeste commuted PayCheck's seven-to-nine-year sentence for aggravated assault, and the singer returned to his career. His brush with the law wasn't his first. He was court-martialed and imprisoned for two years in the 1950s for slugging a naval officer. He was sued by the Internal Revenue Service in 1982 for $103,000 in back taxes. This landed him in bankruptcy in 1990, when he listed debts of more than $1.6 million, most of it owed to the IRS. After his prison release, he seemed to put his life in order. He gave anti-drug talks to young people and became a regular member of the Grand Ole Opry cast in 1997. Still, PayCheck said when people came to hear him play, they still expected to see the whiskey-drinking, cocaine-using, wild-eyed performer with unkempt hair and a surly frown - a reputation he built early in his career. "They still remember me as that crazy, good-time-Charlie honky-tonker, and I don't tell 'em any different," he said after his Opry induction. PayCheck was playing the guitar by age 6 and singing professionally by age 15. After a stint in the Navy in the mid-1950s, he moved to Nashville and found work as a bass player for Porter Wagoner, Ray Price, Faron Young and George Jones. He recorded for Decca and Mercury records as Donny Young until he renamed himself and built success first as a songwriter and then as a singer. One of his early compositions was "Apartment #9," recorded in 1966 by Tammy Wynette. 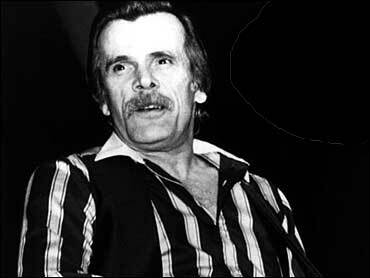 In 2002, a PayCheck compilation album, "The Soul & the Edge: The Best of Johnny PayCheck," was released. PayCheck and his wife, Sharon, were married more than 30 years. They had one son.